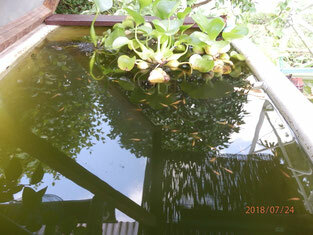 It is not my moving into a big house, but the case with the killifish we have. 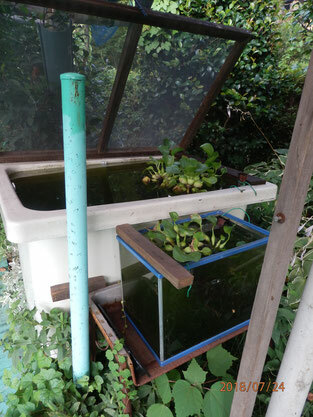 Three aquariums being not enough in number, I have prepared much bigger one, about 4 times as big as the old ones, making use of the used bathtub. The killifish can enjoy swimming as much as 4 times. Cooler than the world of humans?